Here is Stephen Crane's masterpiece, The Red Badge of Courage, together with four of his most famous short stories. Outstanding in their portrayal of violent emotion and quiet tension, these texts led the way for great American writers such as Ernest Hemingway. 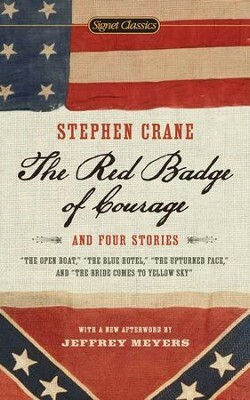 Stephen Crane (18711900) was active as a reporter around the world in addition to being an acclaimed novelist. I'm the author/artist and I want to review The Red Badge of Courage and Four Stories - eBook.